Relations between the army of the Weimar Republic (Reichswehr) and state authorities of Germany are characterised by the formula “a country within a country” and as such can be regarded as a classical example of interconnection between the military and civil society. 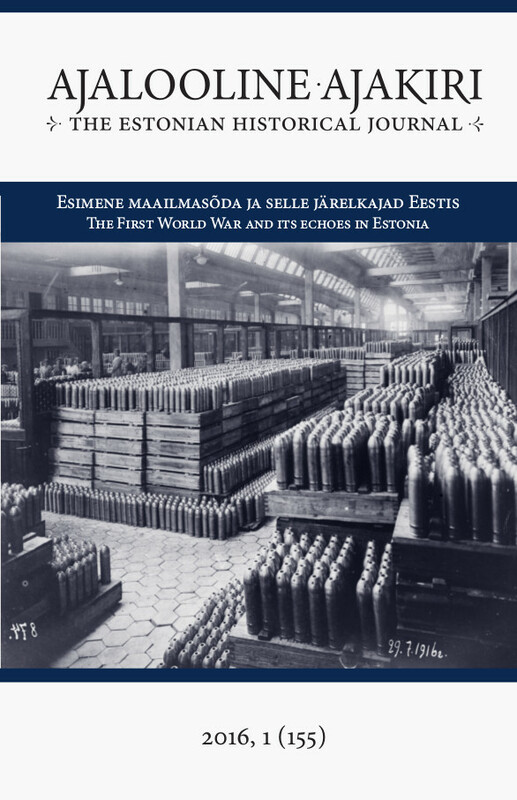 Based on the Reichswehr example, it is possible to analyse interconnections between the army and the state in Estonia during the interwar period in order to determine the role played by the army in Estonia’s political life and the impact it had on state government. To achieve this goal, it is necessary to characterise the main problems in relations between the Reichswehr and state authority and to ascertain the attitude towards the Reichswehr in the Estonian Army as represented by the central media of the army – the journal Sõdur (Soldier). Limitations set at the Paris Peace Conference, the creation of the Reichswehr itself and its attitude towards the democratic republic all together created a military identity crisis in which several separate aspects are discernible. Firstly, the defeat of Germany in World War I was seen by officers of the Reichswehr as the result of a political conspiracy of “internal enemies”, which was demonstrated by the November revolution of 1918 and created a narrative of defeat, and at the same time – the ideological basis for revanche. Secondly, a closed system of army recruitment and general isolation from “politically corrupt” civil society created the effect of army elitism, which was intensified by the high percentage of nobility and descendants from hereditary military families among the officers. Estonia did not have a military representative in Berlin or direct contacts with the German Army until 1936. Nevertheless, questions related to developments in the Reichswehr were rather substantially discussed in the journal Sõdur. The Estonian Army observed problems and developments in the Reichswehr, drawing mostly on information from the German or other foreign press, which resulted in an inaccurate understanding of several matters. Comparatively numerous articles were devoted to tactical development in the Reichswehr, giving detailed analysis of military training of officers and soldiers, the conducting of manoeuvres, and technical equipment. The Estonian military press gave a positive assessment of Germany’s generals, especially Paul von Hindenburg and the Chief of Army Command Hans von Seeckt. The “national upbringing” of German youth that was implemented by different public and political organisations in Germany was also presented in a positive light. It must be noted that the attitude of the Estonian military towards the Reichswehr changed as Adolf Hitler and the national-socialists gained power. Pro-German orientation among army leadership in Estonia increased after the coup of March 1934 and the appointment of Lieutenant General Nikolai Reek as Chief of the Estonian General Staff. Notwithstanding his participation in the First World War and the War of Independence against the Germans, and his education in a military academy in France during the 1920’s, Reek already believed in 1929 that the Reichswehr’s military training based on the principle of quality, as well as principles Germans used to train both higher and lower ranking officers provided a suitable model for reforms in the Estonian Army. Such reforms became possible only after March of 1934 and subsequent closer cooperation with Germany in military matters. Much like the Reichswehr, the Estonian Army suffered from the political influence of different political parties. The most dangerous was believed to be the influence of the Estonian Communist Party in 1924, which operated underground and under directions from Soviet Russia. Estonia’s military counter-intelligence also believed the activities of communists in the border city of Narva and the military base of the First Infantry Division in 1923 to be interconnected with revolutionary events in Germany.